Partnering with the community is fundamental to the missions of teaching, learning, discovery, and care in the Woodruff Health Sciences Center at Emory. 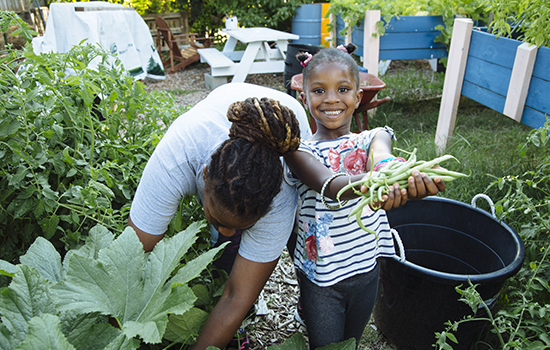 The school's HERCULES Exposome Research Center worked with a neighborhood program in west Atlanta to help residents plant food gardens in their yards, teach them about nutrition, and foster a sense of community. 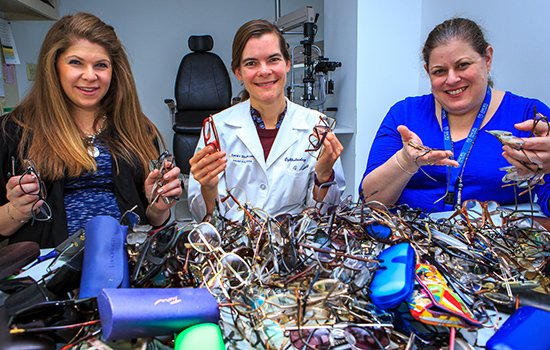 Emory ophthalmologists Rebecca Neustein (left) and Phoebe Lenhart (right) and orthoptist Marla Shainberg support Respectacle, a program in which volunteers clean and inventory donated glasses and then log details about each pair to a website listing more than 21,000 pairs of glasses. Patients or providers can search for a prescription and see what's available. Once they choose a pair, the glasses are shipped to the patient for free, with grant funding covering the cost. 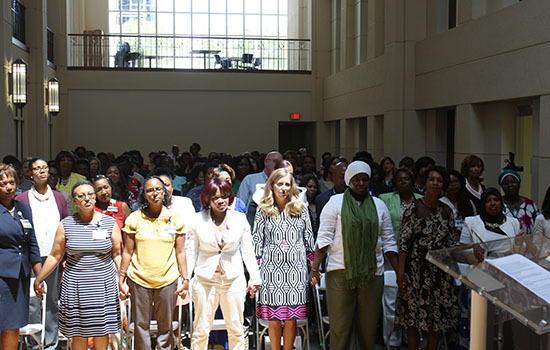 Emory Healthcare graduated its first class of 140 nurses in a new Faith Community Nursing program designed to help nurses support health and healing in partnership with communities of all faith traditions. 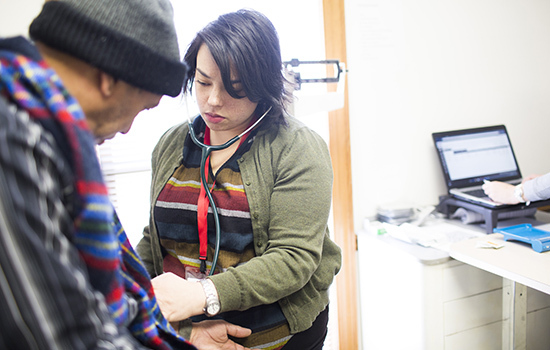 Nursing students at Emory learn by providing screening and other services in a variety of community settings, including a free clinic in Clarkston, which includes a large refugee population among its clientele. 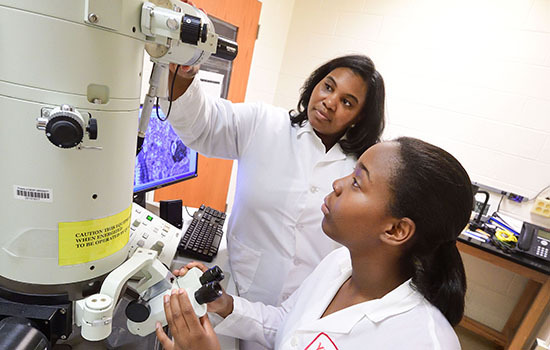 High school student Precious Smith (foreground) was one of five participants at Yerkes last summer in a program offered with Georgia State to help high school students and middle and high school teachers gain firsthand exposure to neuroscience research. In the past year, a record number of Emory nursing students worked at clinical sites in the Dominican Republic, Jamaica, the Bahamas, Puerto Rico, and other locations. 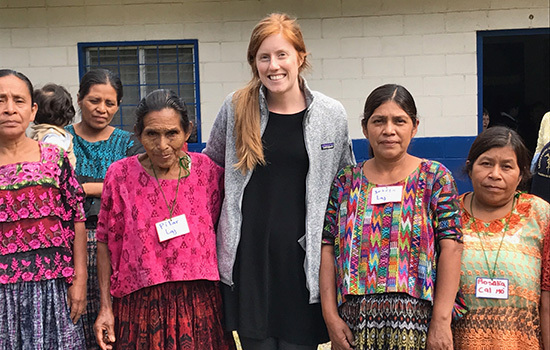 Four midwifery students, including Molly Job (pictured) trained midwives in rural Guatemala in a project piloted by nursing faculty in partnership with the Guatemala Ministry of Health and with a birthing center founded by a retired Presbyterian minister. 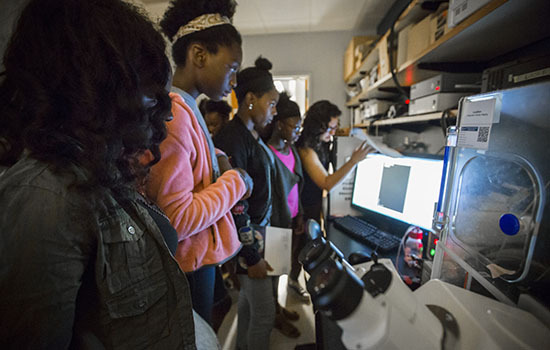 Winship recently hosted middle-school girls from Atlanta Public Schools through the Citizen Science Health and Diversity program, which is funded by the NIH. The students met Winship faculty members and toured research labs. The students also attended a summer coding camp in collaboration with Morehouse College. 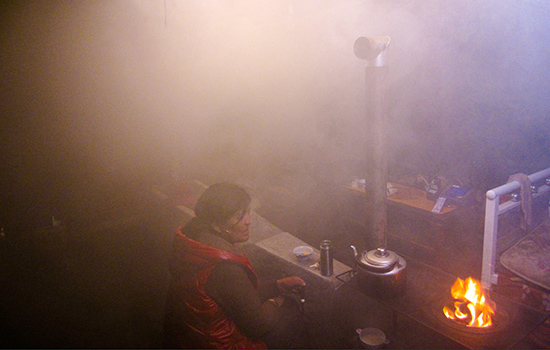 Thomas Clasen, an environmental health professor, leads efforts to reduce indoor air pollution in developing countries where some 3 billion people still use stoves or open fires with coal, wood, or animal dung as fuel. Such pollution contributes to low birthweight, stunted growth, and increases in heart, lung, and other diseases. 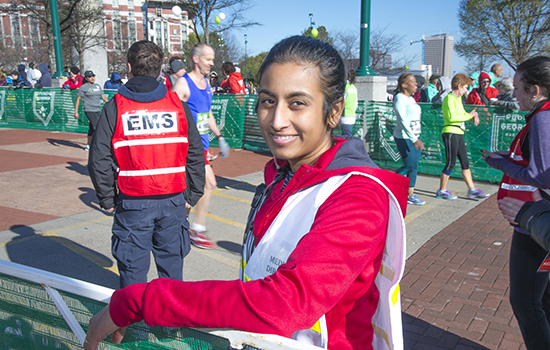 Emory medical faculty provide medical support at the annual Fourth of July Peachtree Road Race and Publix Georgia Marathon. Pictured: Emergency medicine faculty member Lekshmi Kumar. 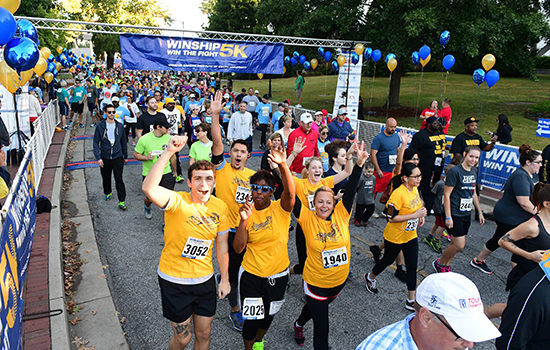 The annual Winship Win the Fight 5K brings cancer survivors and supporters together as a community to celebrate living and raise funds for fighting cancer.